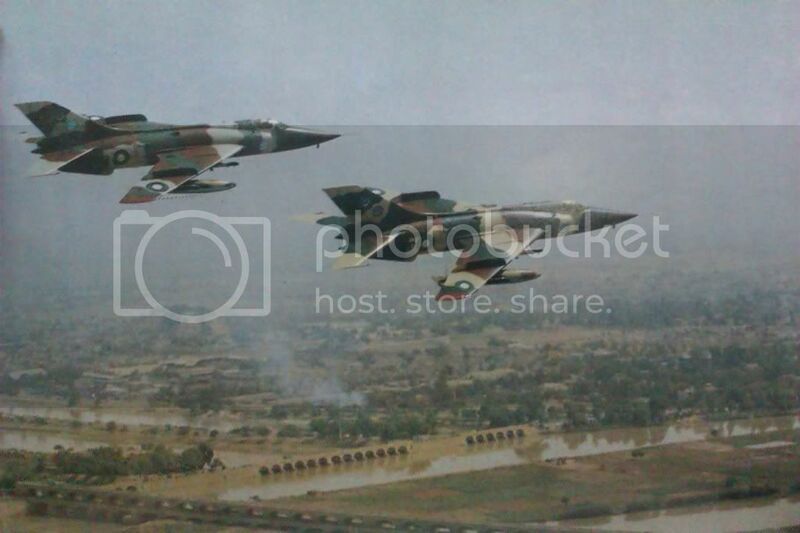 PAF Twin ship A-5 c Fantan Formation flying over Pishawar. The A-5C Fantan is export designation of the Chinese designed J-5 (Attack aircraft 5), which is a twin-jet attack aircraft, derived from J-6/Mig-19 earlier produced in the People's Republic of China. According to one report, at least 210 Fantan-As were in service with the PLA Air Force by 1979, serving with tactical attack squadrons of the People's Liberation Army. A 1980 report declared that the aircraft had been built in relatively large numbers, and it is known to serve also in an air defence role with the air arms of the PLA Navy. The total number in Chinese service in now probably in the region of 500-800. 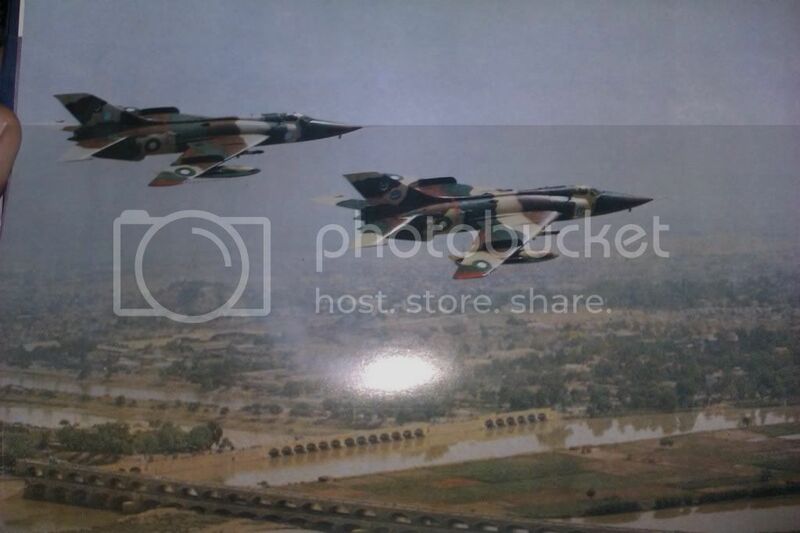 Deliveries of an initial batch of 52 export A-5's to the Pakistan Air Force began in February 1983 and have been completed. The configuration of the PAF's A-5's differs considerably from that of their Chinese counterparts, several design features having been introduced at Pakistan's request to increase the aircraft's strike range and enable it to carry several additional types of weapons.